I speak about change regularly. And you deal with change almost every week, if not every day. Well, that’s great that you could lead change where you are. But you need to understand my context. My church is so (fill in the blanks here) old…traditional…resistant that I don’t know where to start. Sometimes I think it’s impossible. Is it? One of the great consistencies in almost two decades of church leadership for me, is change. We’ve changed everything, moving from three very traditional, dying mainline churches to a vibrant church that’s reaching unchurched people. And in between, everything has changed: our locations, our structure, our worship, our governance, our team and even our denominational affiliation. So…is a church or organization ever too old, resistant or traditional to change? My answer is that change is possible anywhere. That actually, it’s necessary. And at a bare minimum, change is worth the best shot you’ve got. So is there a secret ingredient that can help you lead change in a traditional context far more effectively? Before I share it, a few nuances for all of us. The grass is almost always greener on the other side of the leadership fence. When it comes to change, most of us think it would be easier if we lead at another church or in another organization. The reality is that ALL of us will struggle to lead change wherever we are. As enthusiastic as we say we are about change, all of us resist it. That’s why you haven’t lost that final 10 pounds, haven’t cleaned out the hall closet nearly as often as you should, and haven’t started that blog you were going to launch/book you were going to write. All of that involves change, and we’re resistant. Too many of us make too many excuses. I wrote pretty directly about getting past your excuses in this post and again recently as one of the lessons from the collapse of Mars Hill Church. So don’t think you’re ‘special’, that the ‘rules don’t apply’ to your church or that other people who successfully led change ‘had it easier’. They probably didn’t. If you go in with an excuse mindset, you’ve set yourself up to fail. So park your excuses if you want to lead change. There isn’t just ‘one thing’ that will help you lead change. Leading change is complex. In my book, Leading Change Without Losing It, I outline 5 strategies that can help you overcome the inevitable opposition you’ll face when you lead change (I also tell the story of how we changed in the book). But it can be done. Ron Edmondson recently led a traditional, plateaued church from 1000 in attendance to over double that in less than two years. He outlines his approach here. But there is one thing that has helped me more than anything else in almost 20 years of leading change. And by ‘helped me’ I don’t just mean helping me lead others, I mean it’s also helped me stay motivated myself. You likely know this already, but it’s so easy to forget in the heat of the moment. Or to think you’ve said it once and don’t need to say it again. Focus on the why. Not on the what and the how. There are really only three issues that come up around any leadership table. > What are going to do? > How are we going to do it? > Why are we doing it? Most leaders intuitively focus on the what and the how, neglecting the why. That’s the mistake. And here’s why that’s a bad idea. What and how are inherently divisive. People usually disagree on what. You like a certain style of music. Someone else likes another. You want to paint a room grey, someone else likes taupe. You prefer earlier services, someone else thinks evening is best. You think you should spend the money. Others disagree. How is often just as divisive. As soon as the discuss starts, people start asking: So how are we going to pay for this? How are we going to get people on board? How are we sure this will work? How long will this take? That’s why effective leaders consistently refocus the conversation on why. Why are we proposing these changes? > Because this isn’t about us. > Because we imagine a church that our kids and grandkids want to come to. 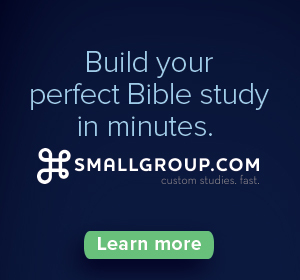 > Because we want to be a church our friends love to attend. > Because we want to be a place where people who don’t feel welcome today feel welcome tomorrow. > Because we love Christ and the world for which he died. > Because we have a passion for those who don’t yet know Christ. > Because our current methods aren’t optimally helping us accomplish our mission. It’s hard to disagree with statements like these, isn’t it? Why appeals to the best in people. Consequently, when you focus on why, you bring out the best in people. After all, most people are part of your church because at some point, they decided to give their lives to Christ and be part of a cause that’s bigger than themselves. Your job is to remind them (and yourself) of this daily. Leaders who relentlessly refocus on the why are always the most effective leaders. If the entire group gets focused on the why, the what and the how have a way of working themselves out far more easily because why motivates. Well I might not like it personally, but it is the most sensible approach. Let’s go for it. We’ll find the money somewhere. Let’s give it a try. I’ll put my objections aside. I feel like there’s a future again! Will you get some opposition, you bet? But, as I outline in my book, likely no more than 10% of people will be opposed and you can leverage a strategy for handling that. And if a few people leave…let them go. They can always find another church they can go to. The people you’ll reach will likely far outweigh the people you lose. 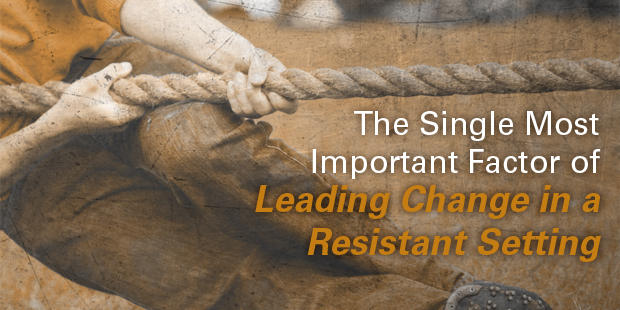 What’s the single best way to navigate change in a traditional, old or very resistant setting? Focus on why far more than you focus on what and how. What are you learning about leading change in a traditional or resistant context?